Students in the Creative Writing Program are taught by faculty members who are also published authors. Our model is the workshop, where students work collaboratively to discuss their work, receive feedback, and hone their editing skills. Students can also expect to read contemporary fiction and poetry, gaining a sense of what is being published today in the literary world. Most of our courses incorporate some form of multilingual writing, either in languages other than English, or different dialects, or vernacular from a variety of communities. Students selecting the Thesis Option in their final year, work one-on-one with a faculty member to work on new work, which can go towards a collection of poems, or short stories, the beginning of a novel, or a multi-genre collection. 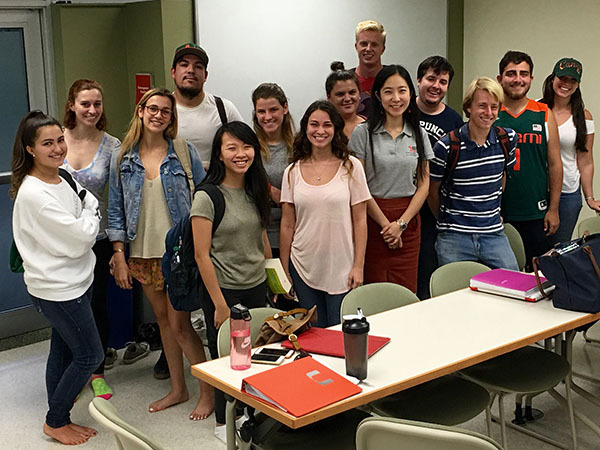 Students can also participate in Mangrove, a national undergraduate literary magazine, and are encouraged to attend readings by visiting authors. 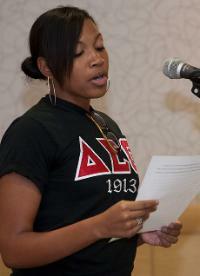 Our open mic series, USpeak, gives students a platform to read from their original works. Non-majors interested in acquiring an English Minor with a Creative Writing Concentration may declare the minor through their college. A Creative Writing Concentration Minor can be the perfect pairing with all majors, integrating critical and inventive thinking to any career path. Click here for requirements in the minor.